Are we really talking January?! Yep! 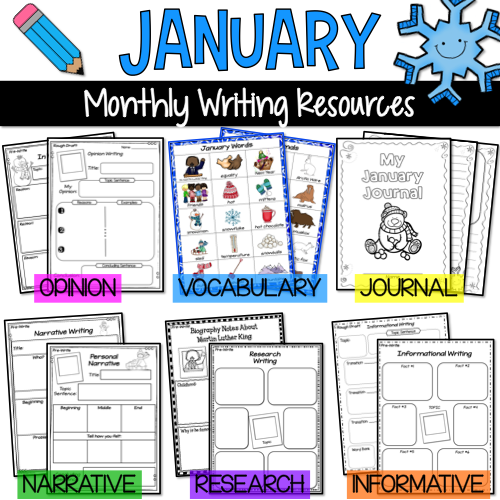 I’m here to provide inspiration and resources to help you add sparkle to your January lesson plans! 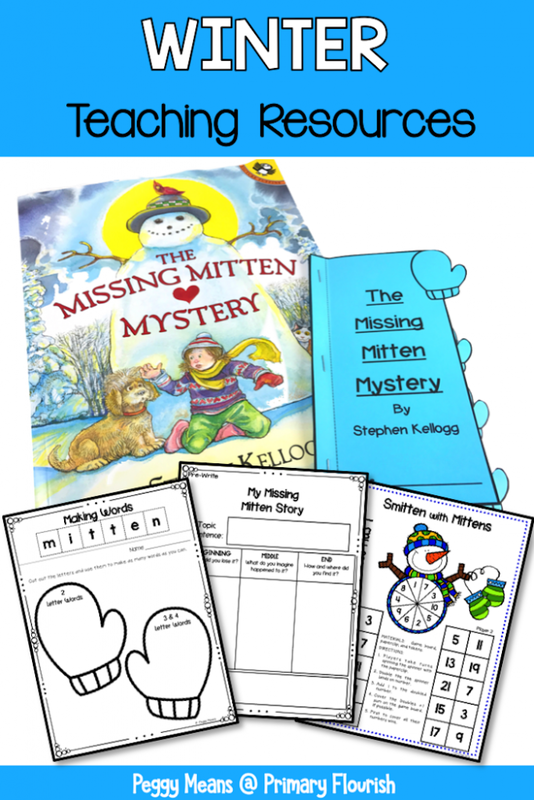 The Missing Mystery is a fun story by Steven Kellogg. Annie and her dog, Oscar, have had a delightful day playing in the snow – but she soon discovers that she has lost one of her red mittens – her fifth lost mitten this year! She retraces her steps to find it. 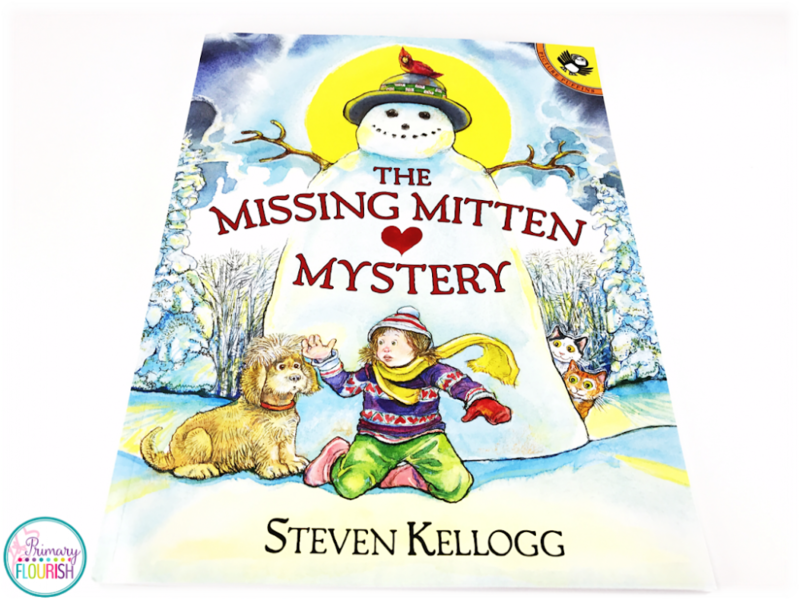 We get to relive her adventures of the day and we are entertained by her creative ideas on just where that missing mitten is – and what it is being used for…. You can to use this story to develop students’ comprehension skill of summarizing by identifying the beginning, middle, and end of the story. 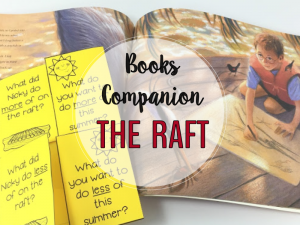 This flip book is a fun way to record their thoughts. The middle of the story is filled with Annie’s imaginings of where her mitten ended up. 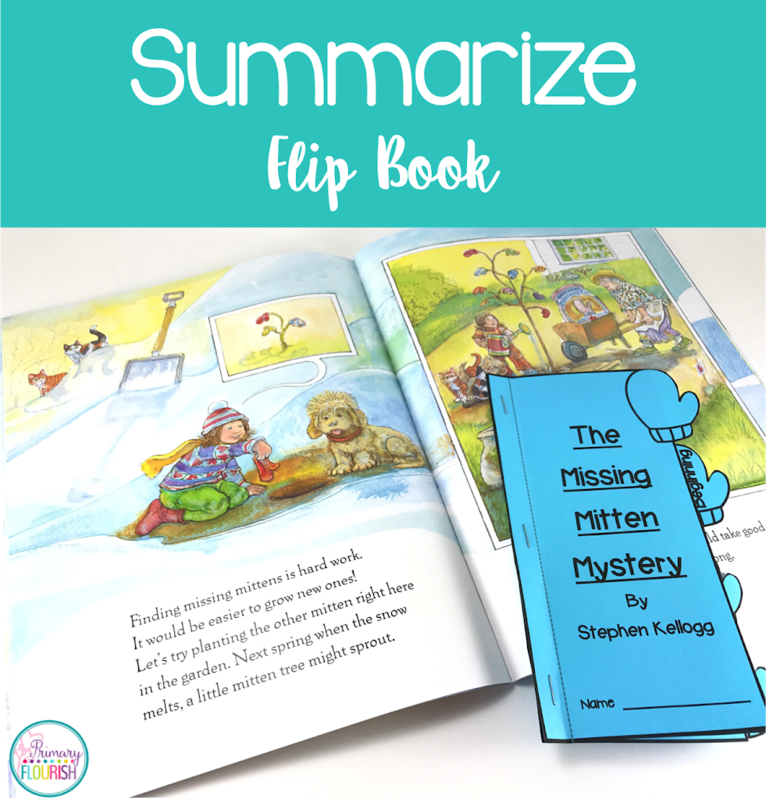 You can use this section of the flip book to generate ideas from your students for their narrative about their missing mittens. 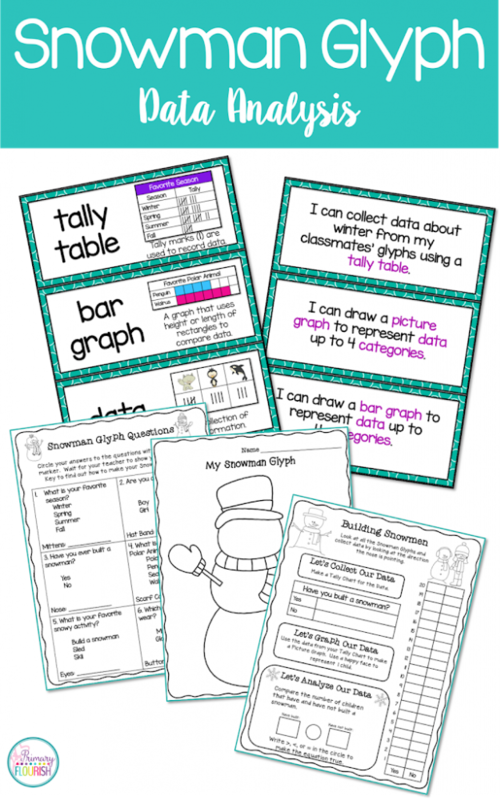 You also get a pre-write graphic organizer and some winter-themed paper for the students to use for publishing. 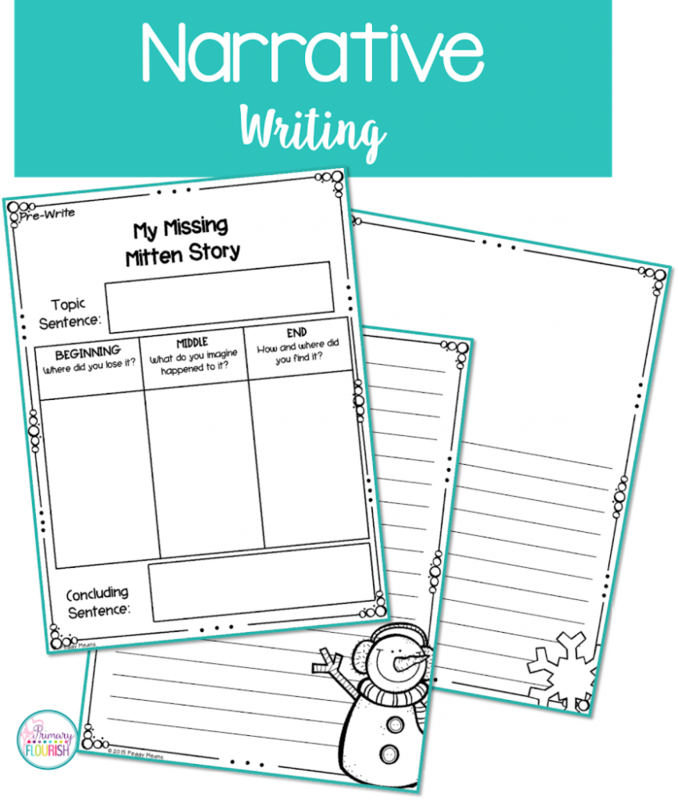 The publishing papers came from my January Monthly Paragraph Writing Resources which is packed with resources to meet all your writing needs for January. Just click on the picture below to see more of that packet. 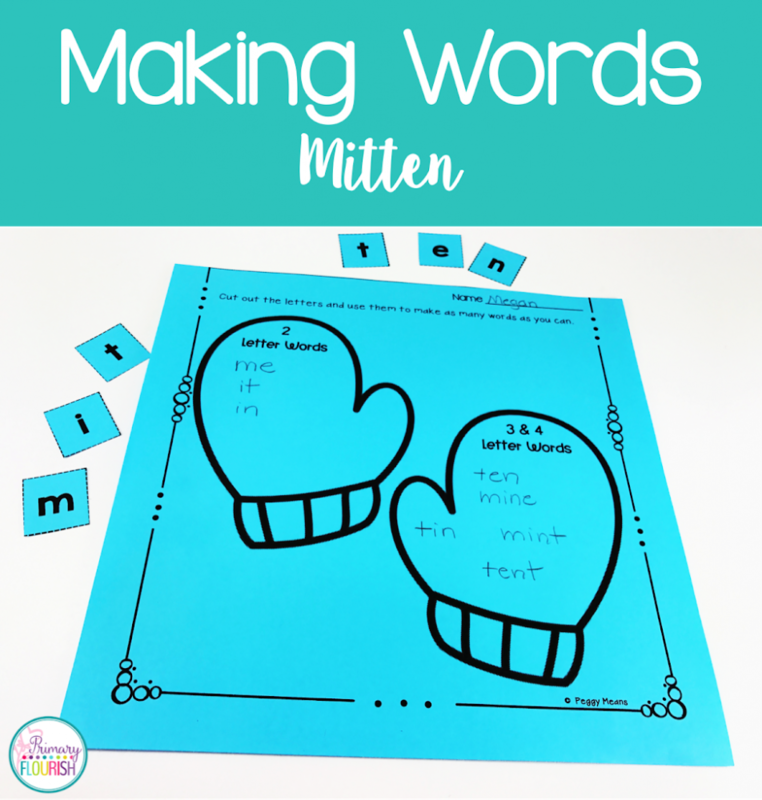 Mittens make this word-making activity just a little more fun! 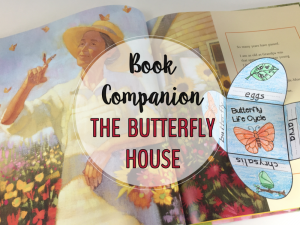 You can use it in a variety of ways: morning work, literacy centers, partner activity, homework, or as a whole class activity. Annie finds her mitten in the end of the story in a very surprising place – it has become the heart of her snowman! 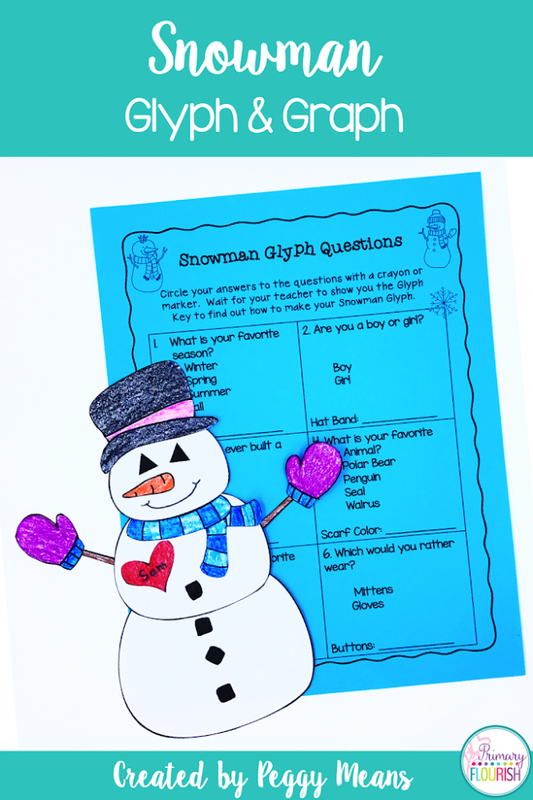 I love to use this story as an anticipatory set for my Data Analysis with Snowman Glyphs unit. 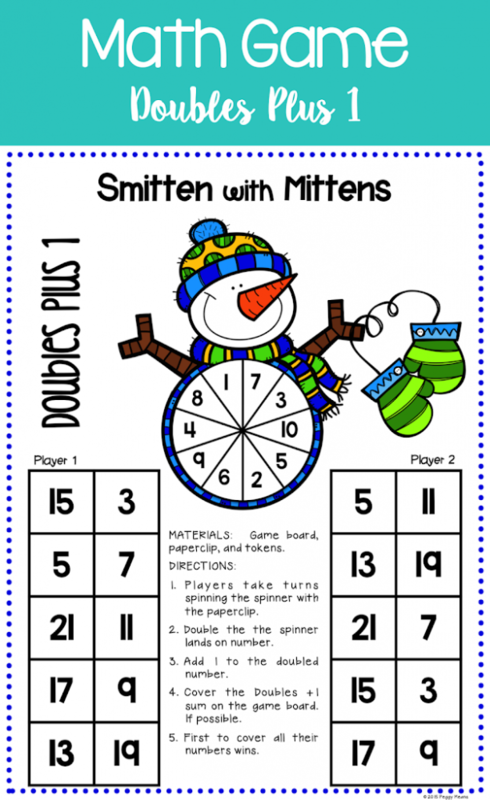 Just click here or on the pictures below see more. 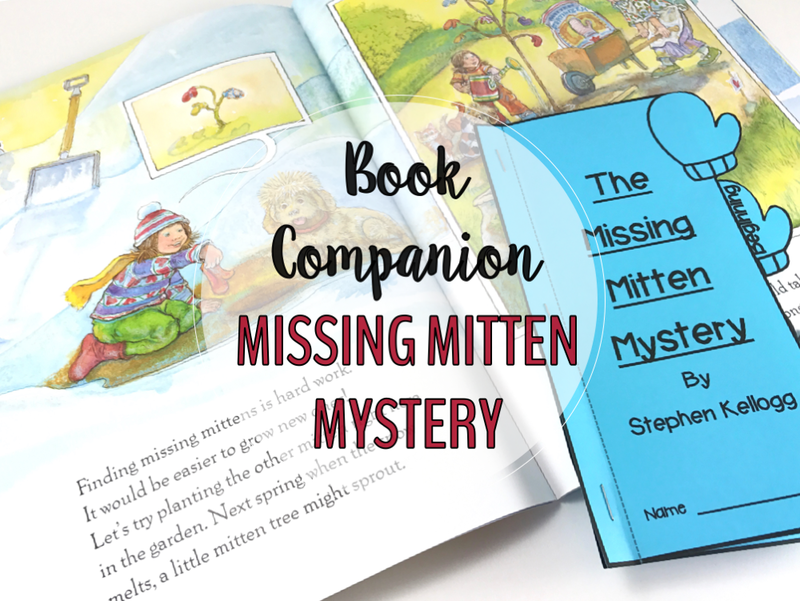 This ‘Missing Mitten Book Companion is in my FREE Resource Library. 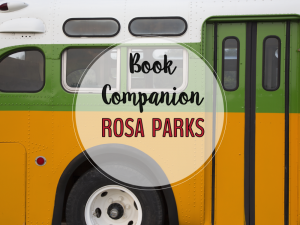 Just click on the image below to go to the library and download it.